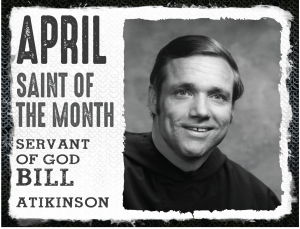 William Atkinson was born in 1946 in Philadelphia to a Catholic family of 6 children. He went to Catholic grade school and high school in Pennsylvania and had a great love for his Catholic faith. He decided to become an Augustinian monk so he went to their seminary in New York to study. In 1965, when we was only 19 years old, he had a sledding accident that would change his life forever. The accident left him paralyzed from neck down with limited movement of his head, neck, shoulders or arms. He expressed the wish to continue on as an Augustinian monk so he moved forward with his university studies at Villanova University after doing his rehabilitation. Bill used a motorized wheelchair to move around and he completed university and felt God calling him to be priest . 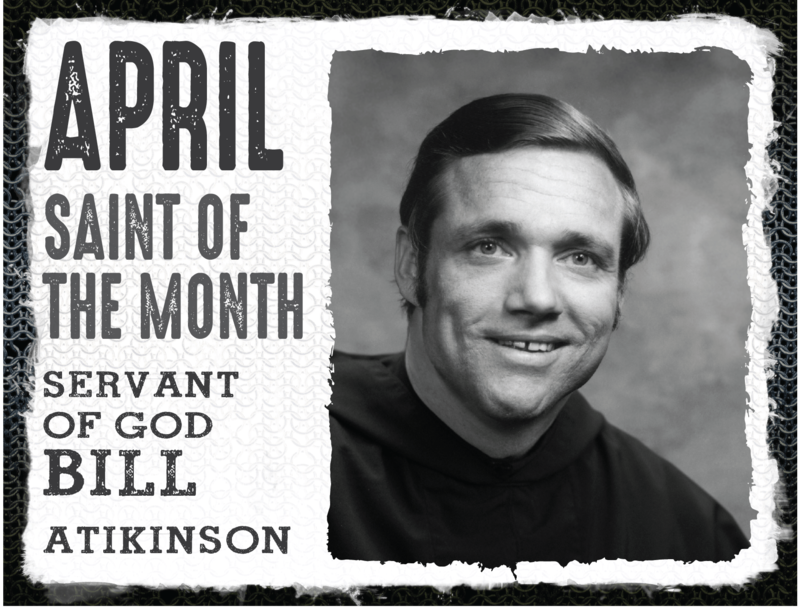 With special permission from the Pope, Bill was ordained a priest in 1974. For almost thirty years, Fr Bill worked at the Friary and a Catholic High school in Pennsylvania where he taught theology, was a chaplain and helped out as a mentor for the football team. He was known for his wonderful sense of humor. He was known to be an excellent teacher and compassionate confessor. When someone asked Fr Bill once, “How long did it take for you to accept the fact that you were never going to walk again?” he responded , “You never really accept it. Every night when you are put to bed, you hope that tomorrow is the morning you get up and walk. What you learn to accept is that you don’t get up and walk.” Many people cared for Fr Bill and he lived a full life until he was 60 years old when he passed away in 2006. His process for canonization started in 2014.